Sadly Quebee had to be put down in the summer of 2000, at the relatively early age of seven. He was an outstanding dog, an International Champion with many BIS to his credit, World Winner B.I.S. 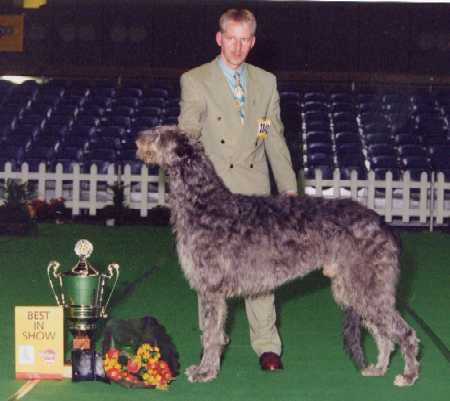 Amsterdam 97, and top hound of all breeds for two years running. Fortunately he leaves behind many promising offspring.